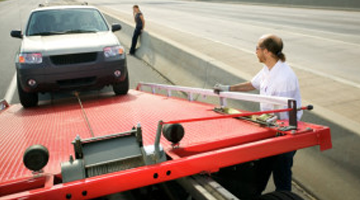 Full service flatbed towing, small equipment moves, and roadside assistance. Accidents tow service on routes I-95, I-93 and the North Shore, MA. We provide removal of illegally parked vehicles from apartment complexes, businesses, as well as parking enforcement. Stalled? By the side of the road? In a parking lot? A & S Towing will get you going. Serving all of the North Shore since 2003, we are your locally-owned and operated towing service, providing safe, reliable, and affordable towing for cars, trucks, vans, even company vehicles. We also offer jump starts, fuel delivery, and other services to help you get started and on your way. We are available 24 hours a day, 365 days per year, including holidays. Quick 24hr emegency service. Accident recovery on town roads and interstate highways, Route 128, I-95 and I-93. Fully licensed and insured, we will offer you a FREE estimate when you call. So call us today! There is no job too small or too big. Emergency Roadside, Lock-out service, local and long distance towing for law enforcement, Auto dealships and consumers. "To provide qulity and affordable tow & recover services for the North Shore Massachusetts." Our guarantee is to provide our clients with the highest standard of quality, service, and support, and that every aspect of the project, from pick-up to delivery, meets your every expectation. Call us today for a free estimate. © 2016 A and S Towing, Inc. Wilmington, MA, Inc. UDDOT 444383 All Rights Reserved.